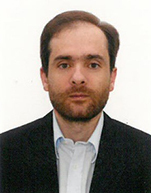 Captain Michalis joined ESMH shore staff as HSQE Superintendent, in May 2012. In June 2015, he took responsibility of the newly established Euronav office in Singapore as the General Manager, until he assumed his most recent position in ESMH as Fleet Personnel Manager, in 2017. Captain Michalis obtained his Captain Class A license in 2006 from the Merchant Marine Officers' Training Center (KESEN). His seagoing career started at the age of 20 as a deck cadet on board a Ceres Bulk carrier. All his sea service has been mainly on board Ceres & Euronav vessels. He has served as a Master on board Euronav tankers for 3 years. He is a member HELMEPA since 1993 and a Fellow of the Institute and an official Chartered Shipbroker, FICS since 2012.